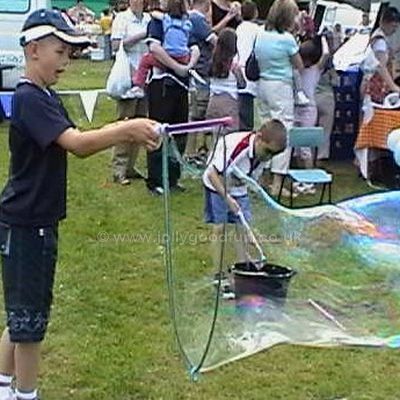 Bubble Making Workshop activity available to hire for Family Fun Day, Corporate and Community events in North Yorkshire, County Durham and the North East. 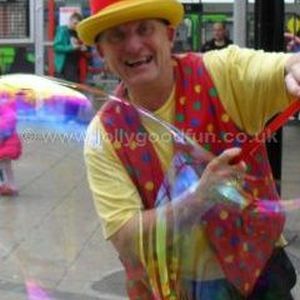 Prices from £180, two hour party, Richmond (Yorks) area. From £350, for events in Yorkshire and the North East. Can be combined with other shows / workshops. POA. 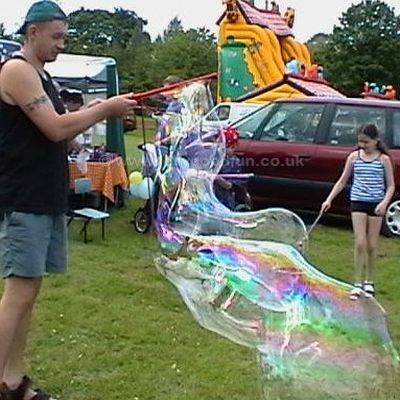 Bubble making is a great way to entertain Children, Teenagers and Adults. It is suitable for children from 8 years of age. 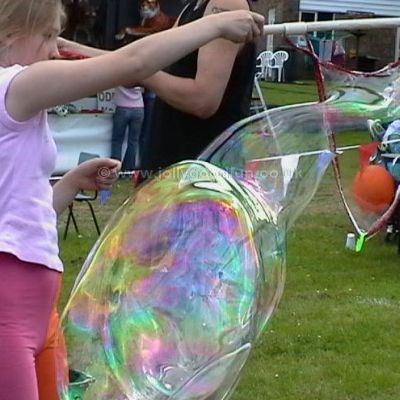 Making giant bubbles is popular with children and adults. Everyone can have a go. Here's why a bubble making workshop could be good for your event. It's easy to set up in any open area. Up to twenty people can join in at a time. People are fascinated by it. It's visual and fun to watch. Lisa Scott "Would like to thank ron and hazel for a great night at the Bridge Inn Middleton for the race night for G.N.A.A.S excellant night had by all and £400 raised. Thankyou so much to you both, ron was as funny as ever.."